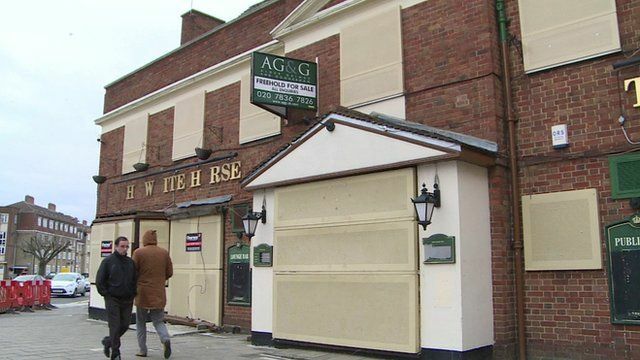 Why are British pubs closing down? Jump to media player BBC reporter Kassim Kayira visits the East End of London to find out why many of its pubs are closing down. Why are British pubs closing down? Pubs were once the social centre of many communities, but that all seems to be changing. The British Pub Association says up to 29 pubs close every week in the UK. Closures are being blamed on factors such as high taxes on beer, competition from supermarkets selling cheap alcohol and changing demographics. The BBC's Kassim Kayira visits the East End of London to find out why many of its pubs are closing down.